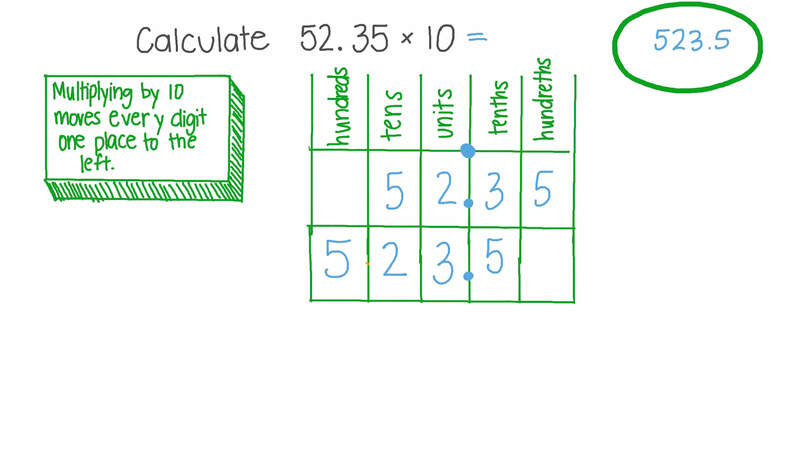 In this lesson, we will learn how to find the product of a decimal and a multiple of ten using the pattern of decimals. Calculate 5 2 . 3 5 × 1 0 . The height of Mount Everest, in meters, can be found by multiplying 8.848 by 1 0 0 0 . Find the height of Mount Everest. Fill in the blanks: 2 5 4 . 4 4 8 = × 1 0 = × 1 0 0 = × 1 0 0 0 .